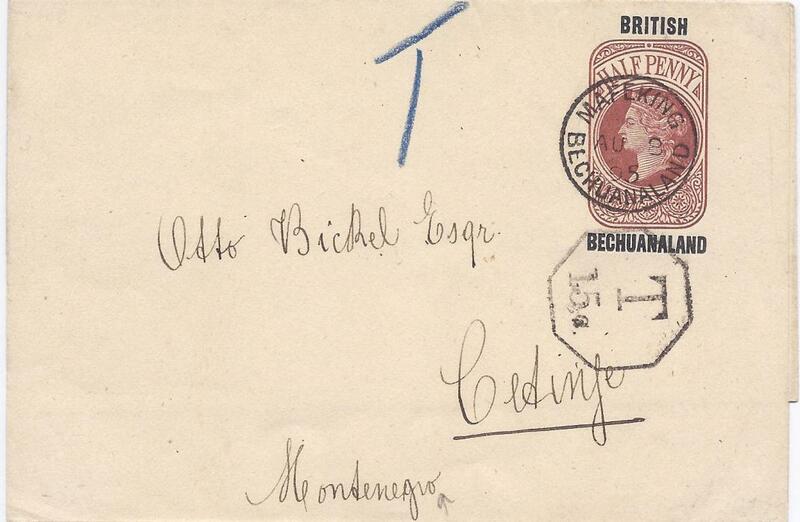 1874-1898 Front to British Legation at The Hague, Netherlands, franked Prince Nicholas issue to 10 Novcic (8 values) tied by CETTINGE date stamp. 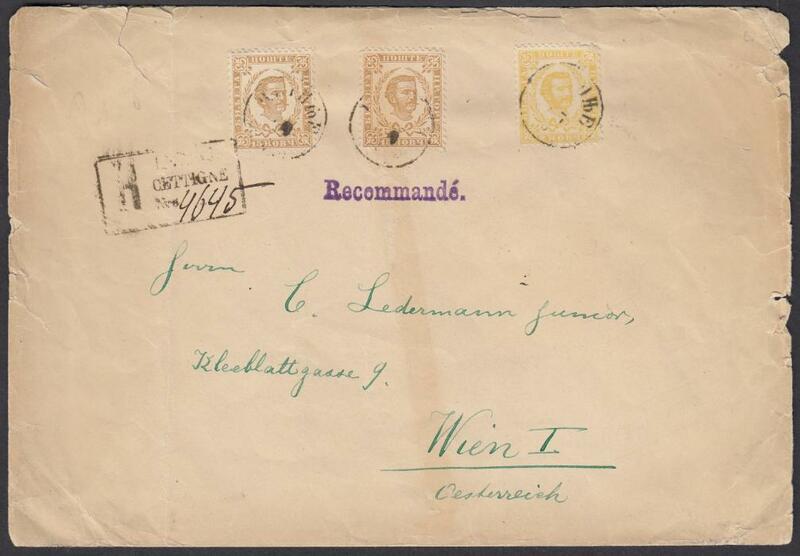 1879-1898 registered envelope to Vienna, Austria, franked 2nd printing, perf.12, 2n yellow + 15n (2) cancelled CETTIGNE date stamp. 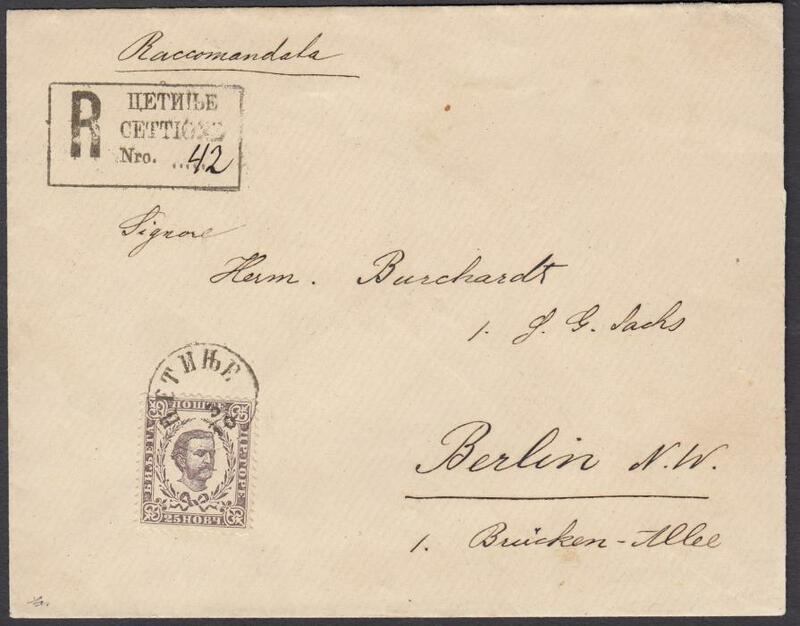 1891 fine registered cover to BERLIN bearing single franking 25n., perf 12�, 2nd printing, tied 'CETINJE' cds, fine registration handstamp at top left, arrival backstamp. Velickovic certificate. 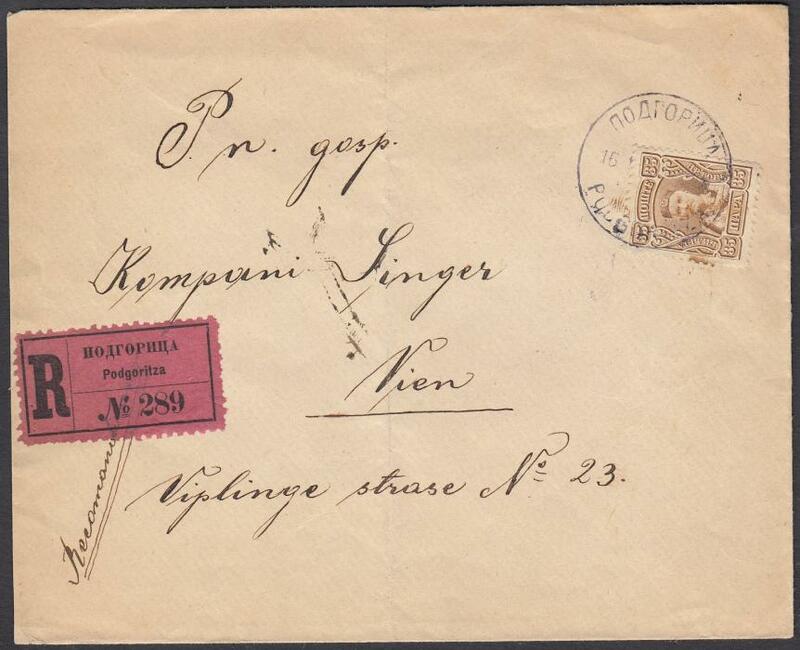 1898 10n postal stationery letter card to Godnig, Austria, cancelled NJEGUSI date stamp with 'year' in calendar. Scarce genuine usage. 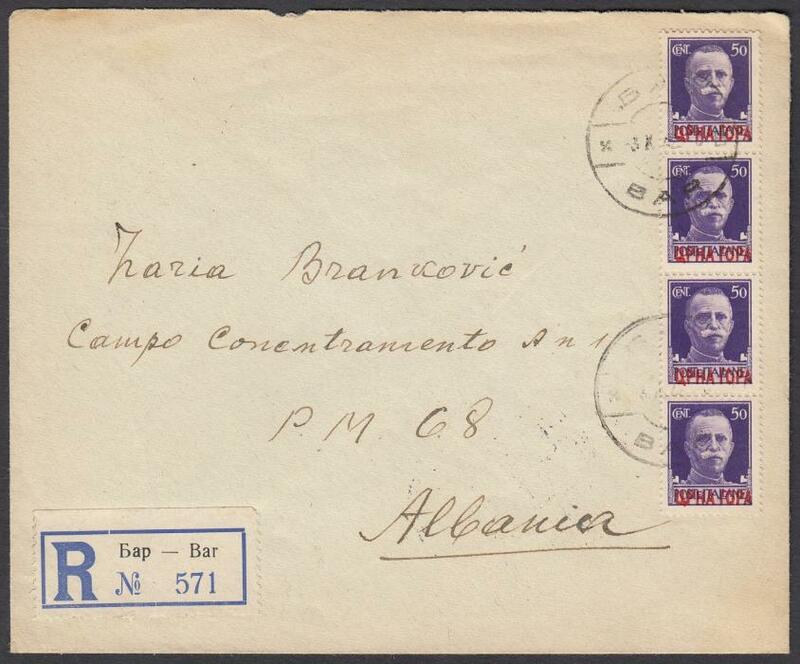 1908 Registered cover sent from Podgoritza to Austria franked with 35 para 1907 issue (Mi 68). Rare commercial usage of the value. 1942 registered cover to 'P.M. 68, Albania' franked vertical strip of four overprinted 50c tied bilingual 'BAR' cds, reverse with further despatch cds, CETINJE transit and SHKODER arrival cds.